Interview Prep: How to Destress the "Stress Interview"
While these sentiments are accurate expressions of those candidates’ perceptual experience, it does not have to be your experience. Your outcomes depend on two things: the expertise of the interviewer in conducting an effective stress interview, and your being prepared with effective responses and strategies. If you are already working in a role that has high demands for your time, efficiency, thought leadership, and expertise then chances are you have learned how to work well in the midst of a raging storm or organized chaos. But, this does not necessarily prepare you for the stress interview experience if you’ve not yet had one. Don’t shy away from these roles if you are qualified and think you can build the capacity to manage (or are managing) these roles’ nuances. The rewards of these positions are typically higher pay and a higher rung on the ladder in the hierarchy, which can have its benefits. What is a “stress interview” and what’s its purpose? The stress interview is used by employers to gauge a candidate’s preparedness for the stress of the role and/or work environment for which they are applying. The stress interview’s purpose is to put the candidate under intense pressure to see how they perform. It is a legitimate approach to predicting a candidate’s performance at work when the façade of polished preparation is challenged. The candidate that can handle the stress interview with panache is the one for the job. The stress interview is not an opportunity for an interviewer to be mean-spirited, disrespectful, punishing, demeaning or otherwise unprofessional. There are employers who devise stress interviews that are tantamount to nothing more than bully sessions under the guise of assessing performance under pressure. To perfect the use of the stress interview, an interviewer must remember to examine the stressors for the role and choose appropriate stress tactics. The candidate that fills that role should not be expected to withstand disrespect, punishment, loss of dignity or unprofessional behavior. The interview should reflect the work environment. That being stated, if the organization has a culture of bullying then these are organizational problems that far outstrip the utility of the stress interview. Abuse of applicants is not the purpose of the stress interview. 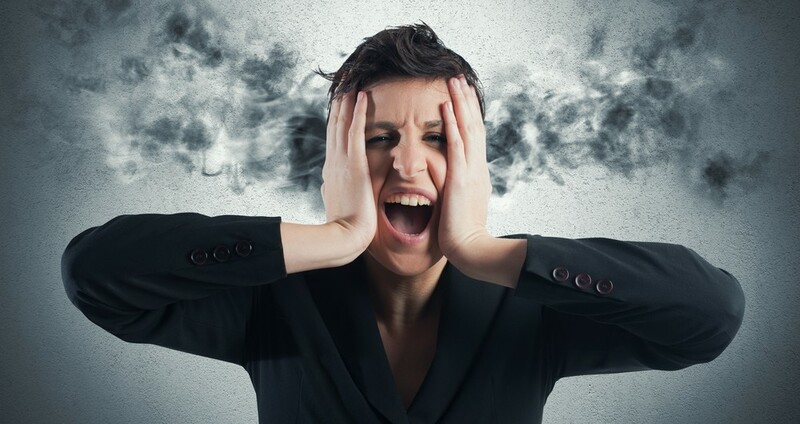 Stress interviews should not be hostile nor convey a decidedly negative attitude. Interviews that fit this description are artificial and unfair as they do not (typically) provide accurate representation of the role or work environment; to call them “stress interviews” is a misnomer. Insider Scoop: A depth of analysis via a succession of probing questions for each response given by the candidate. The interviewer picks apart the layers of your answers to uncover “what really happened,” “what you are really saying,” or perhaps what you may be alluding to, but not saying directly. This approach is examining your ability to be candid and forthright, or the opposite – your discretion if the answers probed for would be commonly considered privileged information of your former employer(s.) This tactic can assess your comfort level with giving “push back” in telling the interviewer that there is nothing more pertinent to share concerning their probe, or that their query applies to a confidence that you cannot share. Your critical and analytical thought in unearthing the layers, delving ever deeper into the undergirding of your conveyance is also being appraised. Being Disagreeable: The interviewer will disagree verbally or non-verbally with your responses. They will go so far as to suggest that there was a better way to do the task or job that you are explaining is a part of your expertise. The test of your ability to not only be tolerant of those who disagree with you, but to learn from them and receive feedback is inherent in this technique. It may be a bit painful to have your experiences critiqued in this manner during an interview. But, do not falter; learn! Can you respond with grace as a mirror is held up to your face? If not, this may not be the role for you. The employer who uses this technique may be a proponent of the 360 degree assessment methodology. Supervisors, peers and subordinates may actively and professionally disagree with you, give “push back” by challenging your thinking and methods (not your authority) and provide feedback on your performance. Repetition: What’s your tolerance for repetition? How about for annoying circumstances or people? When asked the same question over and over do you become flustered or inconsistent? Repetition is often used by the interviewer, asking that same question(s) rephrased a multitude of ways throughout the interview. At times the interviewer may even pretend to not understand what you are explaining. This is a very effective technique for examining stress levels, frustration tolerance, honesty, memory, and ability to work well with and train others. The Poker Face: The deadpan or blank expression that implies a lack of strong emotion in any direction can be unnerving to candidates. It is the interviewer’s deliberate attempt to disguise their emotions. This is common tactic that has become a cliché and misnomer for “good interview skills.” However, it can have very useful application when done well. The interviewer would be wise to balance their expressions and not to have a “poker face” during the entire interview. This may read as cold, aloof and an unfriendly place to work. The interviewer can and should smile and convey warmth at the introduction and close of the interview and when delivering information about the role and company. The poker face is best used in response to candidate’s answers to questions. This method can test for a candidate’s verbal and non-verbal responses to ambiguity, with which many management and executive level roles require extreme comfort. How a candidate interprets the ambiguity; what meanings they assign to it can be very telling of the candidate’s thinking and probable responses in the workplace. One’s confidence in their abilities, talents and conveyance of such can also be examined via this approach. Brainteasers: The interviewer asks a question that is very technical or difficult, requiring knowledge that is not most people’s “walking knowledge,” but somehow expects a response. An example would be to ask about a mathematical calculation that is applicable to the role, but that would be very difficult to figure without the aid of a formula, calculator or additional information. Another example would be to ask a question about the solution to a role-specific problem that requires more information or far more time than an interview to brainstorm possible solutions. This tactic assesses your problem-solving skills and ability to think on your feet. Will you ask for the needed instruments, formulas, information before proceeding or will you try to answer without gathering the needed tools and resources? Will you have a melt-down and give up immediately, saying that you cannot figure it out or will you explain how you will find or figure out the answer? Your ability to ask for the resource is being tested, as well as your confidence, ingenuity, creativity, analysis, and decision-making skills. Situational: You are asked to answer “case study” questions about what you would do in a particular scenario or you are asked to answer “behavioral interview” questions about what you have done in a particular scenario. Both situational interviews are attempting to assess your actual and factual responses to situations that are common for the role and what your behaviors have been in the past. Your responses help the interviewer to have an inside look into your thought processes and decision-making skills. The behavioral aspect examines your reflexive and introspective ability, which is needed to self-correct and learn from your past experiences. These tactics can be used to test for many different qualities and competencies needed for the open role. Questions can be devised to assess just about anything, including teamwork, reliability, conflict resolution, handling multiple work streams, giving and receiving feedback, flexibility, etc. Panel Interview: Several interviewers are all in the room with you and are taking turns asking questions. This can be done with one interviewer speaking first; concluding and then another asking their question or it can be done in a fast-paced, rapid-fire format in which the interviewers switch with each question. This approach aims at assessing your ability to work with the pressure of multiple work streams, bosses, direct reports, and responsibilities. It also tests your capacity for a fast-paced environment where the “to do items” are to be addressed very quickly, efficiently and effectively. Will you experience work-overload and burn-out or do you have the ability to inexhaustibly manage the volume, speed and complexity of the work? How to Prepare for a Stress Interview? There are several keys to surviving and flourishing in the stress interview. They are simply to become aware, remain calm, have a sense of humor, and avoid defensive verbal and non-verbal responses. Your awareness that you are experiencing a stress interview will help greatly in recognizing the tactics that are being used and therefore what the interviewer hopes to learn about you. You will want to share this information freely so that it is known that you are the best candidate for the role. To be cognizant in such a way as to know the tactic’s aim will require you to slow things down and give yourself the adequate time to think before responding. It is okay to state to an interviewer that you need a brief moment to think in order to respond. It is possible to think well while doing a high-wire act, if you practice. Conduct research to find applicable interview questions for the role(s) you are interviewing for and devise them as stress interview questions using the tactics described herein; practice your responses. Of course, you will know neither the exact questions nor your answers in advance; however, you can become acquainted with “being in the hot seat.” Practicing quick thinking and preparing truthful narratives that illustrate the key point that each question is seeking is a great way to prepare. The best candidates are not only prepared to answer difficult questions, but are also ready for a plethora of different types of interviews. Become familiar with the different kinds of interviews and be prepared for anything. Also be aware that the interviewer asking those brutally tough questions may very well be an easygoing and warm person outside of the context of the stress interview. For help with devising applicable stress interview tactics and questions, employers should give us a call or drop us a line today. For help with preparing for different kinds of interviews, job-seekers can learn more about our workshops and career development services here.